At the London Spectator, we have just established a “Cad of the Year” prize.... We invented the prize partly in reaction to Country Life’s “Gentleman of the Year” award, but more as homage to the Flashman novels, which are enjoying something of a revival at the moment. Flashman, in case you didn’t know, is English fiction’s greatest anti-hero. He first appeared as Thomas Hughes’s Tom Brown’s Schooldays as the bully who torments Brown and his pious little friends, gets “beastly drunk,” and is then expelled from Rugby. 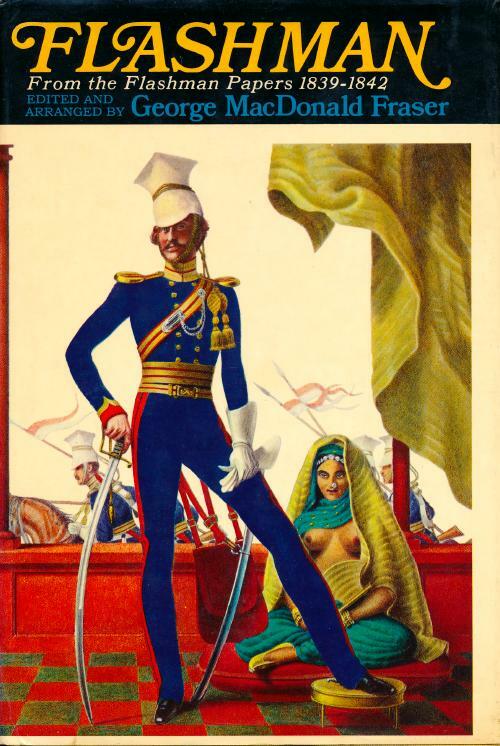 George MacDonald Fraser then had the genius idea of taking on Flashman’s life and wrote a series of adventure novels, narrated by the bounder himself, Sir Harry Flashman. (Starter for ten: What’s the difference between a cad and a bounder?) Flashman gets into all sorts of scrapes, meets the greatest figures of the nineteenth century, and pulls one over all of them. He ends up a decorated military hero—even though he is always a coward, a liar, and a scoundrel. During his travels Flashman meets people who took part in 19th-century events, including Queen Victoria, Abraham Lincoln, Otto von Bismarck, Oscar Wilde and Florence Nightingale, and he is involved as a participant in some of the century's most notable events, including the Indian Mutiny, the Taiping Rebellion, the charge of the Light Brigade, the Siege of Khartoum, John Brown's raid on Harpers Ferry and the Battle of the Little Bighorn. The books at Amazon: The Flashman Papers . The Wikipedia article on The Flashman Papers includes, at the end, the books listed according to the chronology of Flashman's fictional life. "The best question anyone had asked yet"
"My first, my last, and almost my only prayer"